Twenty-one people were killed Saturday when a tourist bus plunged into a ravine on Indonesia’s main Java island, officials said. The bus was carrying a group of employees from a private company from the West Java province town of Bogor to a tourist destination in West Java’s Sukabumi district when the accident happened around midday. In addition to the 21 dead, the nine others aboard the bus were seriously injured, said a spokesman at Pelabuhanratu hospital, Taufik, who uses one name. Local police spokesman Trunoyudo Wisnu Andiko said the bus plunged into the 30-meter (98-foot) -deep ravine after the driver lost control of the vehicle in an area with a number of sharp inclines. He said it was the last of four buses carrying employees of the PT Catur Putra Group who were reportedly on an outing to a rafting location near Pelabuhanratu. Road accidents are common in Indonesia due to poor safety standards and infrastructure. In February, 27 people were killed when a packed tourist bus returning from an outing plunged from a hill in Subang in West Java province. 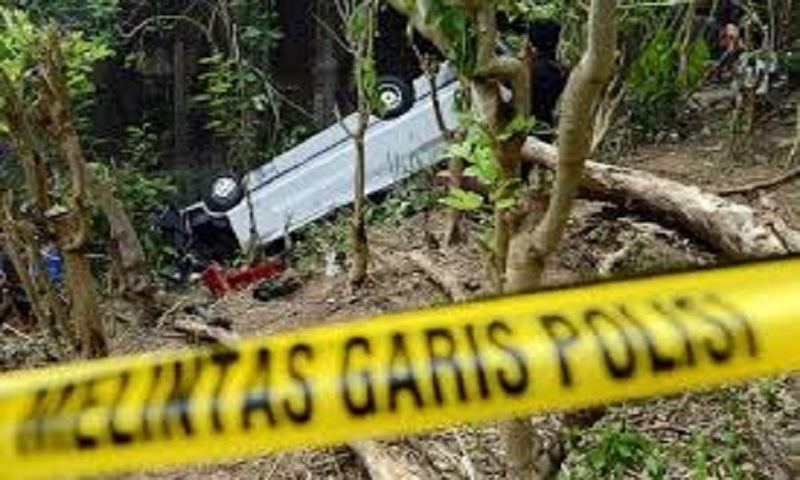 Two months later, two accidents in West Java’s hilly resort region of Puncak killed at least 15 people.